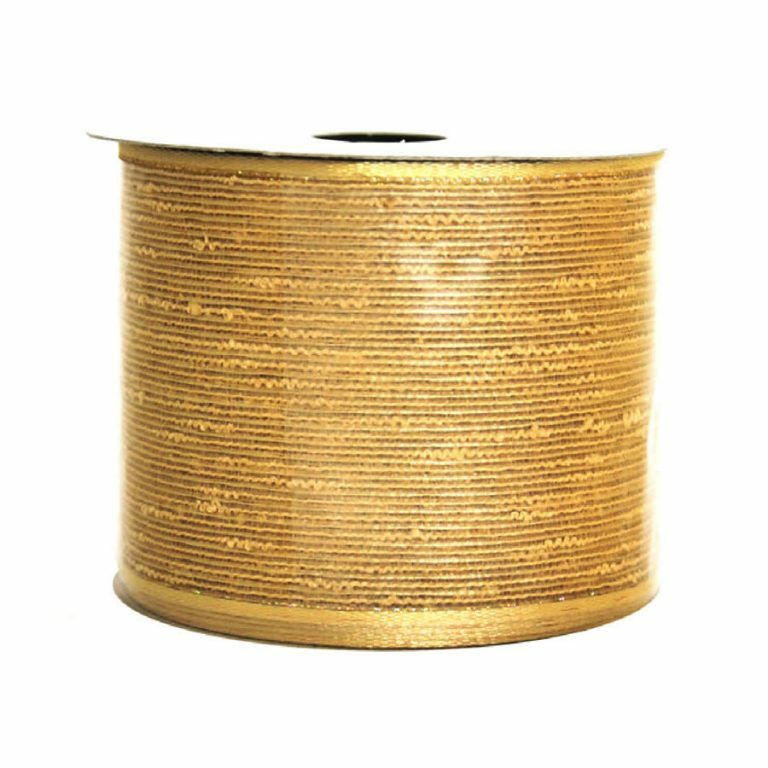 The Tan Christmas Script Linen Ribbon is 9-metres in length and 7cm wide. The neutral tone of tan is accented by the vibrant script across the facade, crafted in ivory white. 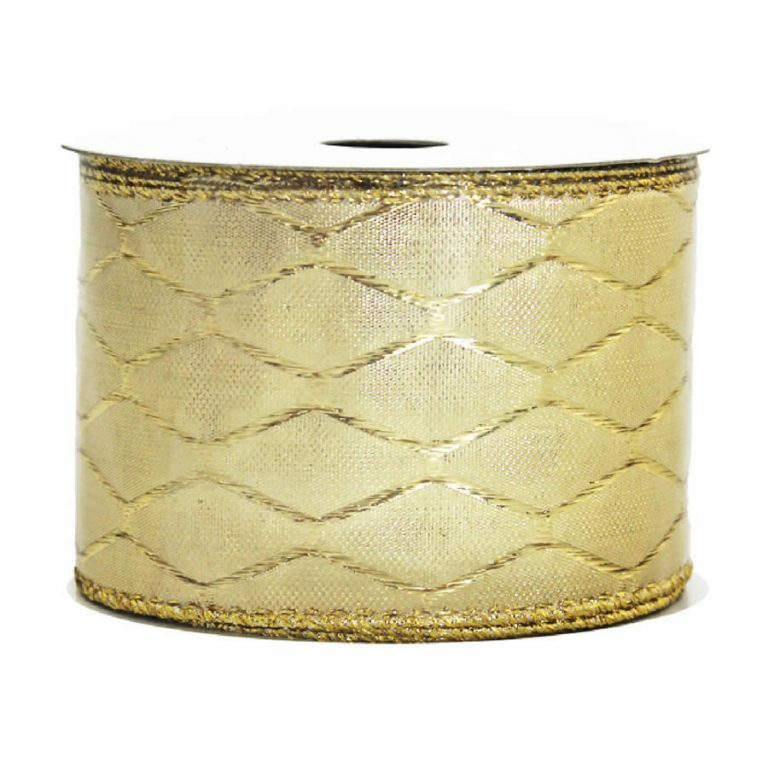 There is a vintage aura found with this ribbon, and it goes so well on white tissue paper wraps or even a brown-bag, rustic alternative to wrapping paper. 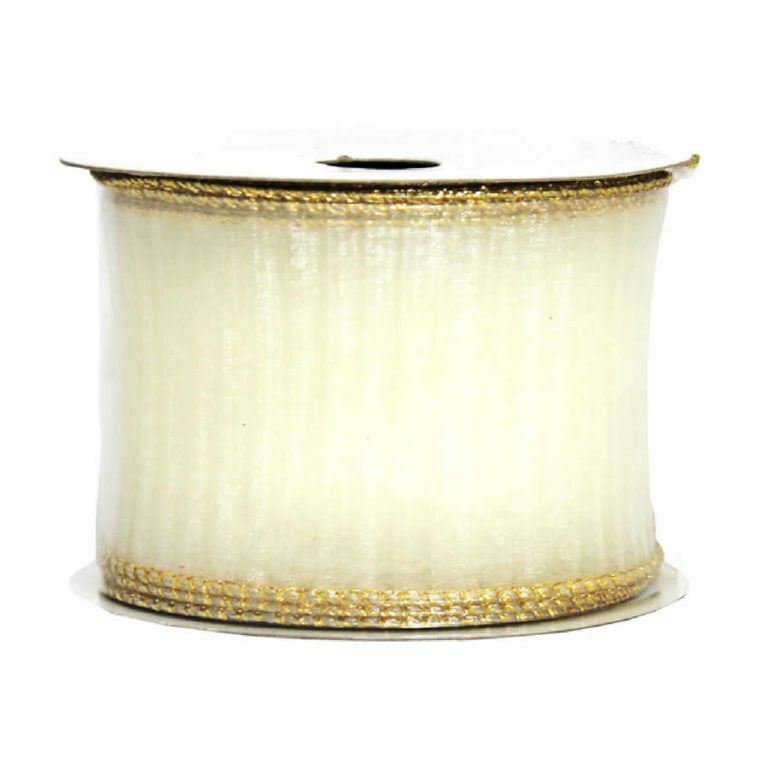 There is a simple braided trim that is affixed with a wire edge so you can create stunning bows and accents that won’t fall apart or droop later on. 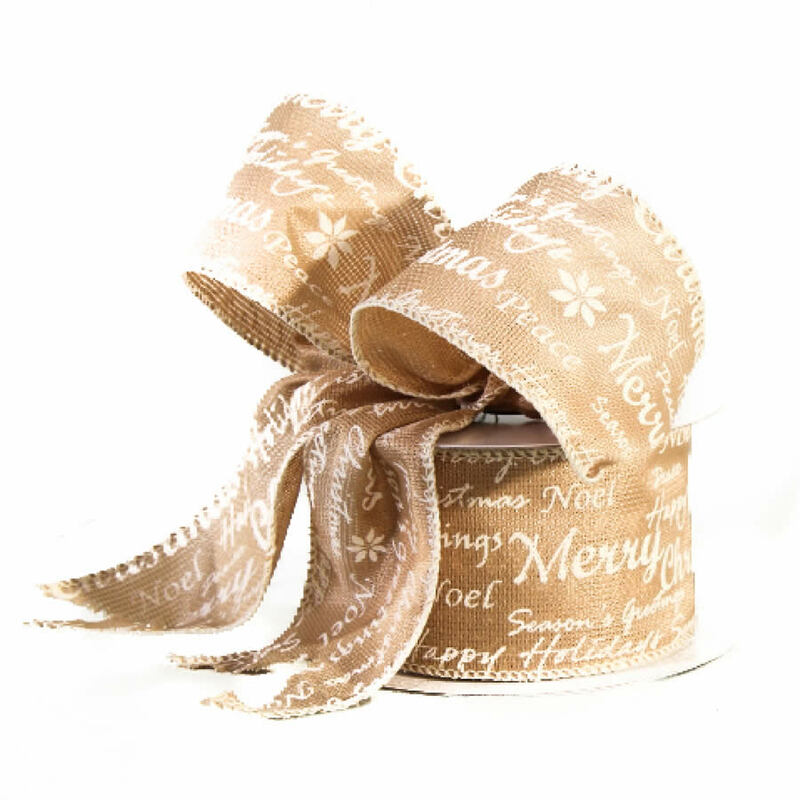 The white writing is so dramatic on this soothing colour of ribbon- it is both subtle and tasteful, which makes it the perfect holiday accent to keep nearby during the Christmas season!